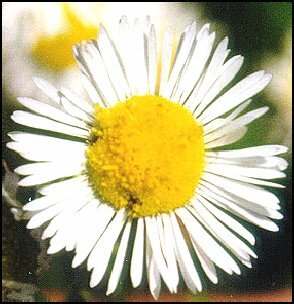 Fleabane is the size of an aster, with more petals, with the coloration of a daisy. They usually bloom before the asters and have much smaller flowers than daisies. Flowers of some species run toward the pink and lavendar colors, like asters. The center of the flowers are yellow, like daisies. 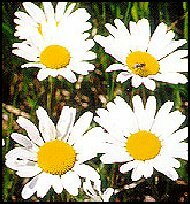 Daisies may be one of the best known flowers in Michigan. However, few of us would probably guess that it is an exotic from Europe. 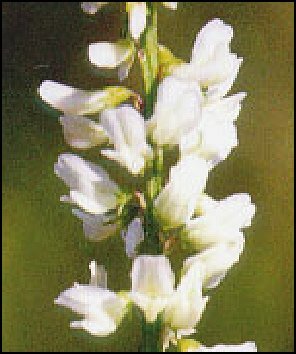 The showy flowers of white and yellow are easily recognized. The plants stand 1-3 feet tall and often occur in colonies. 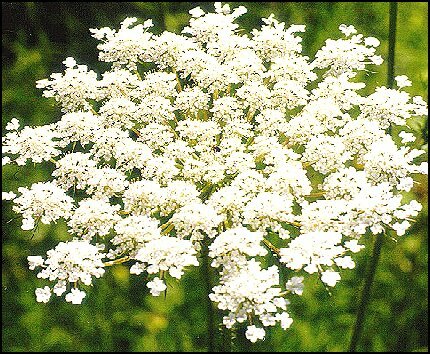 Queen-Anne's Lace is another very common roadside flower across Michigan but is an exotic from Europe. Many tiny flowers make up the flower head, which is shaped like an umbrella. Often, in the middle of the flower head, there is a single purple flower. The plant may grow to be over three feet tall. The leaves are very lacy. 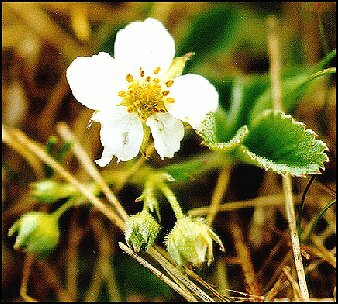 Wild strawberry is a small, white-petaled flower that often goes unnoticed. The plant rarely grows more that six inches tall. Individuals frequently have runners that might go over three feet. The bright red, but quite small, strawberries ripen in July. They are very tasty. Occasionally, confused flowers may bloom as late as September. Sweet clover spikes are tall and lanky, usually growing in fairly thick colonies along our roadsides. The plant often reaches heights of over five feet tall. The flower spikes might be as long as 7 or 8 inches. The small leaves are in three-parts and are clover-looking. 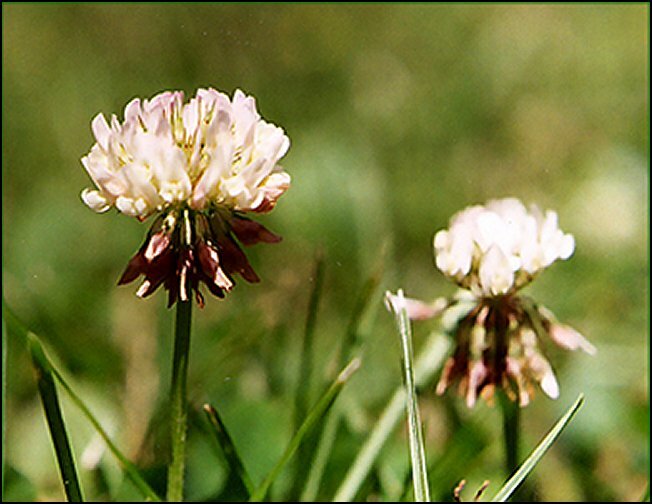 Like most Michigan clovers, white clover is an exotic from Europe and has long been used as a forage crop in agriculture. This is the species that might most often be seen in lawns. It is a short plant, usually just a few inches tall.